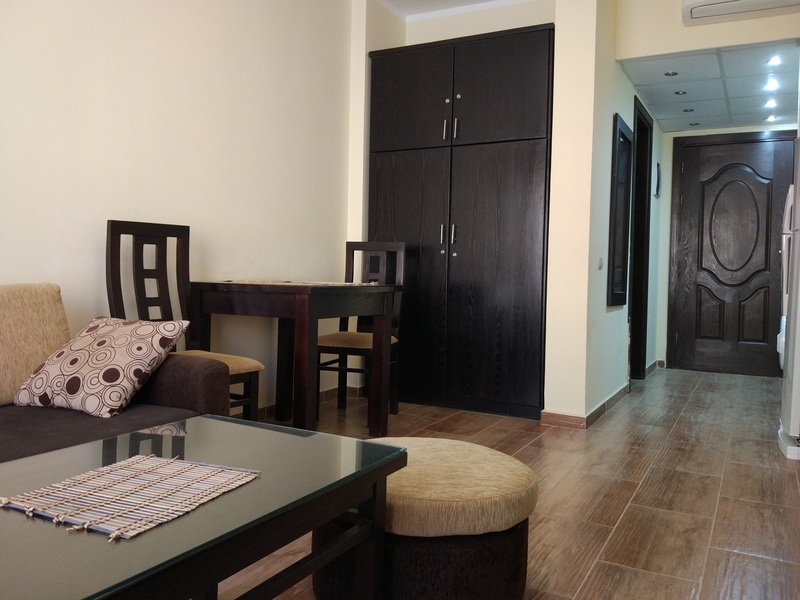 apartamenty Hurghada or apartments in Hurghada Egypt, under the terms we understand apartments for rent in Hurghada or apartments to buy. 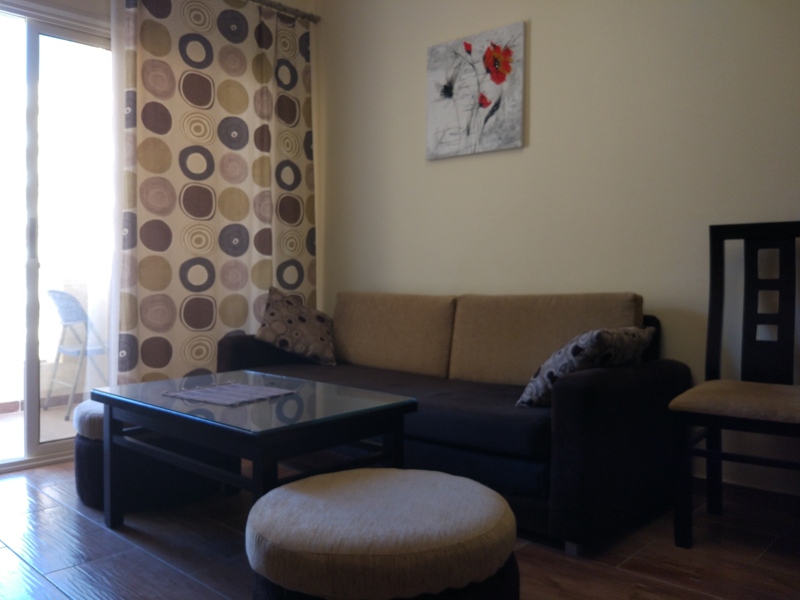 After almost a month stay in November in Hurghada I can certainly say, that the situation returns to purchase their own “m” in a friendly and above all cheerful ( above all, sunny ) city ​​for foreigners. Why do I think so and this is based on the observation of local and banner ads real estate agencies. In the building where I reside , neighboring apartment during our stay was shown with new customers 15 times. I would recommend no less renting an apartment in Hurghada my apartment, which you can book on our website at Facebook or sites such as airbnb.com or booking.com. A detailed description can be found on this page, which very fairly present its actual appearance. 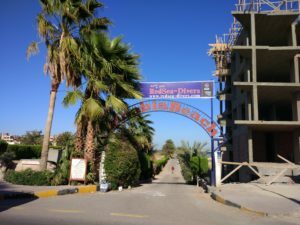 Following the recent findings of the managers of the complex it is possible to enter on the associated right on the beach part of the ongoing construction of the hotel. Apartament Hurghada Helen – We recommend renting a comfortable apartment in Hurghada (Egypt ) at low prices in the complex Florenz Khamsin . The following pictures will help you make a decision to live in it. A visa is mandatory in Egypt, its cost is currently 25 dollars. It can be purchased before departure, and you can also be in the same Hurghada, after landing. On receipt of a visa does not have any formal problems, It is only recommended, to have the exact amount of money when paying. The validity of the document is 1 month, after this time should be extended. Upon arrival, it is also necessary to fill the declaration of entry, which is leaving the position of severance. Passport at the entrance to Egypt must have 6 months validity. Hurghada is a very safe city. As a tourist resort spare her any turbulence, which can be found in other parts of Egypt. 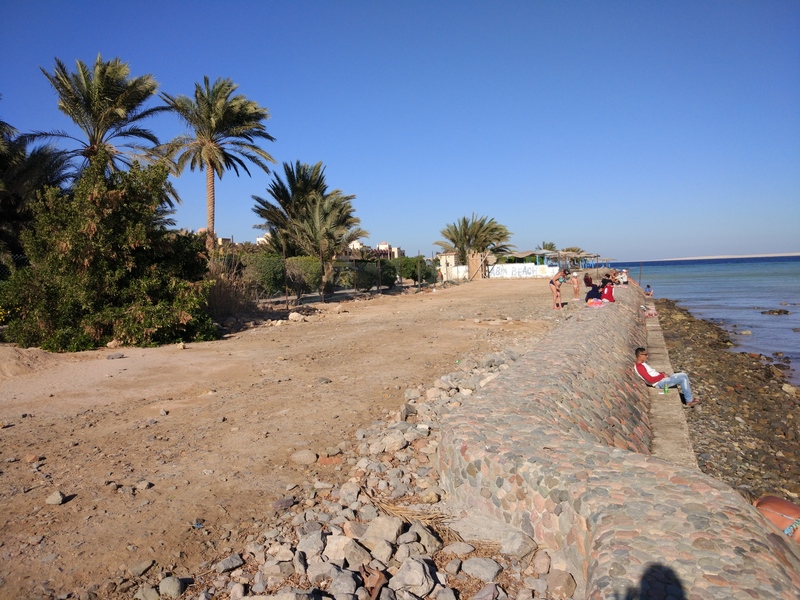 In Hurghada primarily count tourists, who expect this, that nothing serious they will not jeopardize, instead leaving this town your money. Yes, They occur there various offenses, However, their number is very similar, everywhere else. A big impact on the level of security to law enforcement, including the police visit, which are able to quickly and efficiently bring order. 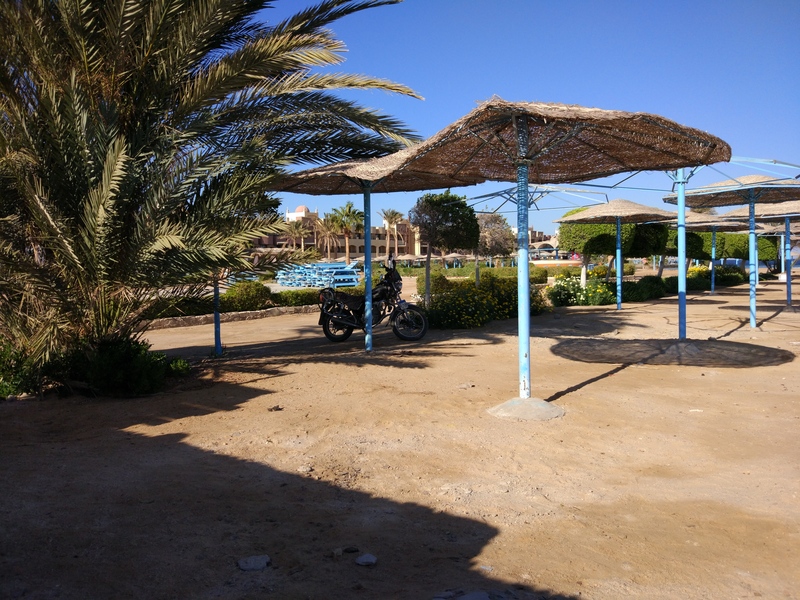 Those first arriving to Hurghada can be surprised the amount of armed police, but also thanks to him in this place you can go out without fear at night on the street. 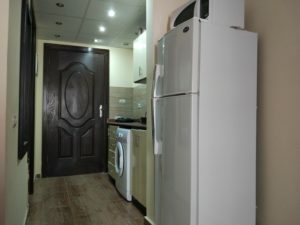 Using Polish phone in Egypt is a very expensive solution, what painfully convinced the successive tourists with several thousand bills to pay after return. Outgoing calls cost from Egypt to 10 zł per-minute, much cheaper are coming, the road is also a data transfer. Therefore, it is best to limit the use of Polish number to a minimum, and instead purchase a SIM card of one of the Egyptian operators. The card costs a few dozen pounds, however minute call with a few Polish, it is so much cheaper than roaming. Increasingly cards also have a data package, so in addition to the ring you can also be used through the Internet. 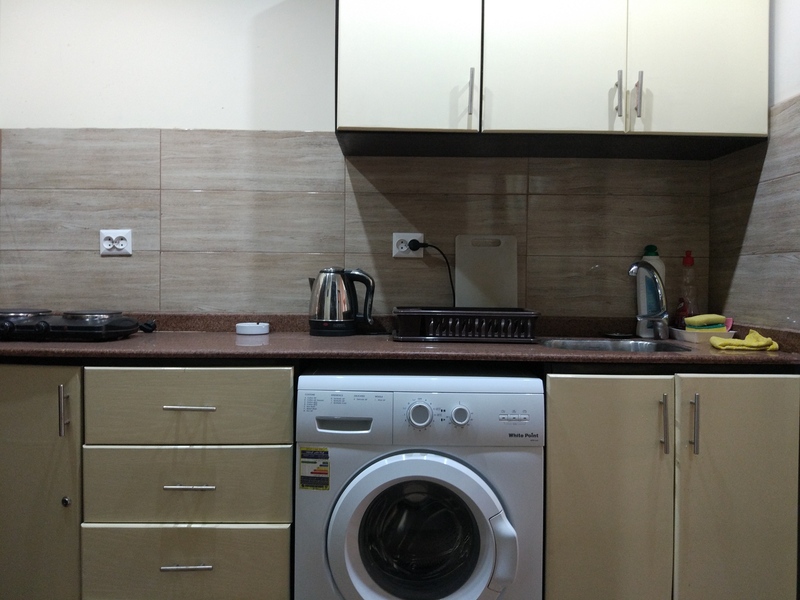 With the Internet in Hurghada can also be used in Internet cafes, which have good equipment and high-speed. Increasingly, access to the wireless network wi-fi is also in hotels, where stop tourists. Leaving Egypt should be aware of this, it is a Muslim country, with multiple unknown to Europeans bans. It is therefore necessary to adapt to the prevailing there habits, among other things, by wearing appropriate clothing. On the beaches bathing suits are most on the spot, But beyond the tourist areas you should avoid wearing them, like short skirts or shorts. Men should wear long pants, and women clothes that cover the arms and legs to the knees. Alcohol is available in Egypt, However, only a certain number of points. It is prohibited its consumption in public, and in hotels there is in this respect special restrictions. Because of the high temperatures prevailing during the day best drink wyskokowym at this time is beer. Egyptian beer is readily available, relatively cheap, and what is important to taste very similar to beer from Polish. In the evening, when it gets colder, You can afford all kinds of drinks or even something stronger. Deciding on alcohol, particularly with larger percentages, you have to remember one important thing. In Egypt they prevail large heat, during which it is very easy to overdo the amount of beer or drinks, and the effects of this can be really nasty. In Egypt, the official currency is the Egyptian pound, but you can easily pay in dollars or euros. courses, according to which are converted prices are much lower than those in force at the exchange offices, with small purchases virtually undetectable. Exchange offices are commonly found, both in hotels and popular tourist spots. There is an extensive network of ATMs too, which supports the most popular types of cards. When shopping it is essential to remember, to haggle. Mostly prices are served by a wide margin, So it is worth to keep in mind, and did not immediately pull money. You should be very careful when buying souvenirs. some items, For example, pieces of coral reef, They are covered by the export ban, and his attempt may be over a substantial fine. You should also check the authenticity of this, what you buy, because tourists are often cheated. 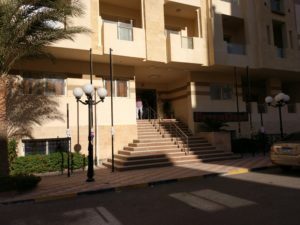 The most convenient way to travel around Hurghada are taxis, which can be ordered around the clock. You can get them almost anywhere, and the price of tolls vary from a few to as much as fifty LE, when the course will be on the other end of town. Theoretically taxis have installed taximeters, However, they are rarely used. Therefore, the best solution is to set a price for the ride before driving off, Here bargaining is also the most on the spot. On the specified routes in Hurghada ride regular buses, the cost of passing them is up 3 THE. In Hurghada you can hire a car, because of the low price of fuel is a cost-effective solution. However, one should be very careful while driving, as the Egyptian drivers are less predictable and often go quite dangerous. Trip to Egypt does not require any special vaccinations, but for your own safety, you should think about vaccination against hepatitis, diphtheria, tężcowi i polio. Medicines in pharmacies are generally available, but if someone taking them regularly, This should bring adequate supply. The most common health problems in Egypt is cold and “Pharaoh's revenge”, Fortunately, with the help of local drugs can quickly cure. Health insurance is mandatory prior to departure, and just in time for it not worth saving. Medical services in Egypt are paid, are often quite high amounts, therefore insurance should cover a wide range of treatment. Before visiting the hospital or physician should consult with the insurer scope and cost of treatment, later that there were no problems with covering the costs. Stomach problems associated with infection of the digestive system affect up to 40% tourists visiting Egypt. The main reason for the infection is the consumption of unboiled water, wherein the bacteria are, which Europeans are not immune. The disease most often occurs in the summer, when the temperature is high, manifested abdominal pain, nausea, vomiting and diarrhea. The most important in its prevention is to keep basic hygiene, above all, not taking a drink and food from unknown sources. To drink is best to use water from a bottle, and definitely avoid tap water. If the symptoms have already come, it must go to a pharmacy for appropriate medication ( Antinal ). In practice, it is worth to buy them in advance, so that when the first symptoms immediately apply them, and not waste time searching. 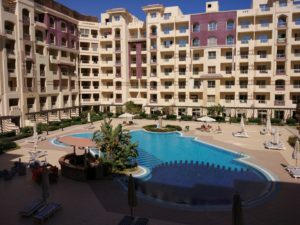 Facultative trips – Hurghada is an ideal starting point for tours of the greatest attractions of Egypt. From Hurghada you can go to Cairo for one or two-day trip, strongly recommended the latter option, because for a few hours really little you can see. The same one-way trip takes several hours, therefore trips usually take place in the middle of the night. Tour begins from the Egyptian Museum, followed by a quick lunch. The next step is a short trip to Giza, which is probably the most well-known attraction in Egypt, i.e. famous pyramids. Staying in front of the Sphinx and the Pyramids takes about three hours, j if it is a day trip, This is the end of the tour and return to Hurghada. 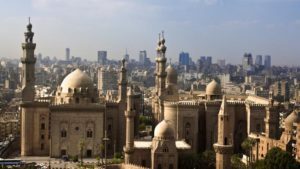 At a two-day trip the second day is devoted to watch other attractions in Cairo, that is, the church Al Mu'allaga, bazaru Khan el Khalili, Ben Ezra synagogue, Citadel of Saladin and the Alabaster Mosque Mouhamed Ali. Cairo offers much more interesting places, so if anyone will be able to, it may explore the city the next few days, and still not see everything. 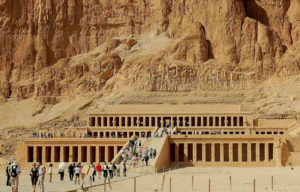 A trip to Luxor, like Cairo can be planned for one or two days. The city is far from Hurghada about 300 kilometers, so the trip is usually about five o'clock in the morning, and the same journey takes five hours by bus. 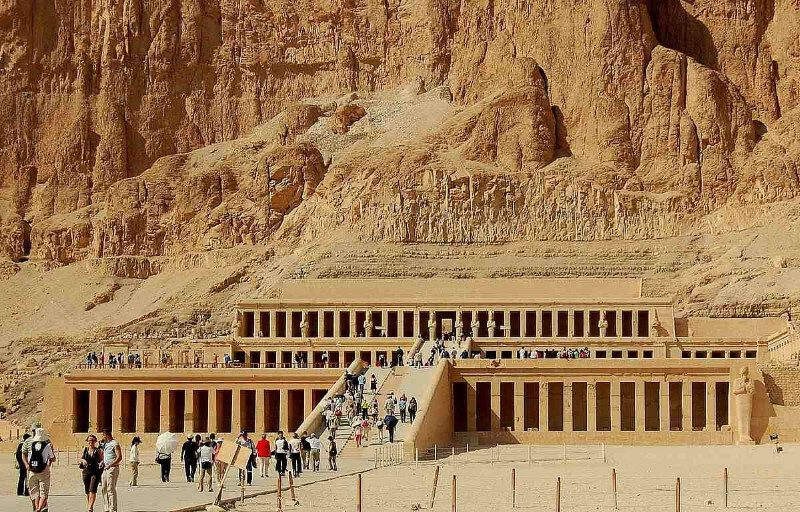 At the one-day tour usually visits the Valley of the Kings, Kolosy Memnona, the temples of Karnak and Hatshepsut, as well as the factory of alabaster. By opting for this option is necessary to find out, when he is scheduled to visit the Valley of Kings. In the morning temperatures are more bearable, for this afternoon to be reckoned with hot weather reaching up to 50 degrees. 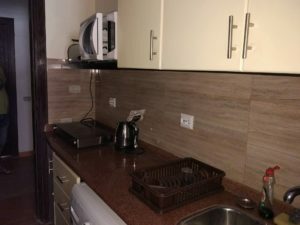 At a two-day trip in the program, there are several additional attractions, among other things, a cruise on the Nile and watch banana plantations. Prices range from day trips from 80 do 120 dollars, two-day trips are about 100 dollars more expensive. The final price has a significant influence time visits to the Valley of the Kings, tours starting from here are a lot more expensive. 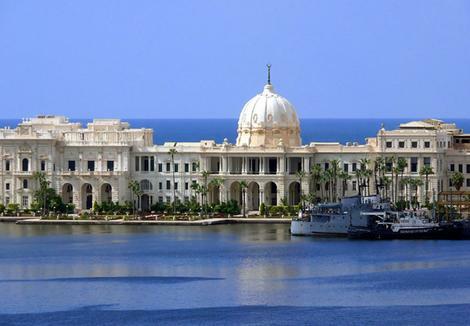 Alexandria is the second largest city in Egypt, It is also considered one of the oldest. 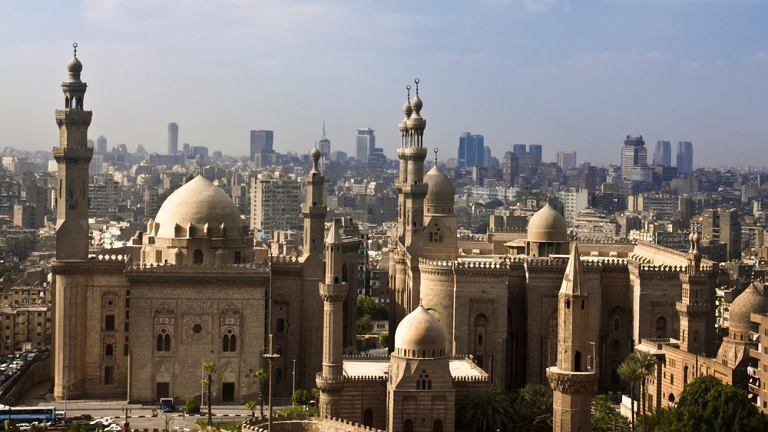 Tours to Alexandria usually are offered along with a tour of Cairo, With this arrangement, the first day is intended to Cairo, the second to Alexandria. During the one-day stay tourists usually watch some of the main attractions, because the more you just do not have enough time. 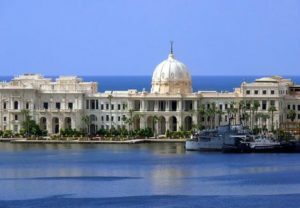 A must-see is the Palace of Montaza, which now houses the Royal Museum, It is surrounded by one of the most beautiful gardens in the world. Another point is the Roman Theatre, Citadel and Bibliotheca Alexandrina, considered to be the most ancient object of this type. Noteworthy is also the Museum of Greco-Roman, where you can watch tens of thousands of exhibits. Aswan is a beautiful, leafy town situated at the first cataract of the Nile. It is a typical market town, but also it has a lot to offer to tourists. Huge impression on each will leave the island Kitchener, located in the river, which they created an extraordinary botanical garden filled with plants from around the world. A necessary element of the tour should be the Museum of Aswan, we should also see the Nubian Museum of Civilization. Additionally, the program includes visiting the High Dam, Philae Temple and stay on the big, the local bazaar. From Aswan depart numerous cruise ships, So during a visit to this city should also plan shorter or longer trip on the Nile. 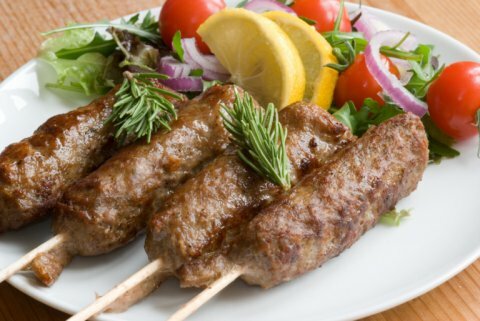 Egyptian cuisine is a unique combination of fresh vegetables, meat flavoring and spices. Being in Hurghada worth a try local specialties, and not limited to meals served in hotels. Traditional Egyptian dishes can be found in many restaurants, as well as small pubs located in different places of the resort. Egyptians traditionally eat three meals a day, ie breakfast, Lunch and dinner, and in each of them there are specific foods. They are eaten willingly among other salads, which have little in common with, what we know from our kitchen. It uses beans in them, Garlic, onions, herbs and semolina couscous. Egyptian main courses are mainly meat in various forms, it may be beef, veal, mutton or chicken. Often on the table there are also fish and other seafood, but for religious reasons in restaurants practically do not have pork. In addition to the meats are fried eggplant, tomatoes, green peas, the different varieties of beans and potatoes. Also they are often eaten pasta, for example minced meat in béchamel sauce. Very nutritious soups are also Egyptian, based on beans, lentils and pasta, often with meat. Sweets lovers will also find something for themselves, Egyptian desserts are based primarily on the different varieties of honey and nuts, They are incredibly sweet and simply delicious. Egyptians loved to drink coffee and tea, but both of these drinks is administered differently than in Europe. 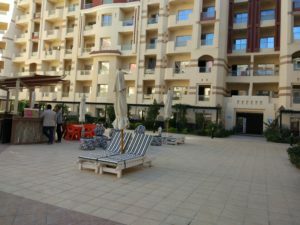 Most of the tourists coming to Hurghada does this primarily designed for sunbathing and diving. Rest over the water, both sweet laziness and active viewing of the underwater world delicious, you can practically spend the whole holiday in this way. Beaches Egyptian beaches are mostly private, therefore available to tourists are mainly those found at hotels. Most of the shoreline is privately owned and is available to hotel guests, it is also possible to use them for a fee. Prices are not high, usually they oscillate in the vicinity of 35 do 60 THE, people living in the hotel can mostly enjoy the beaches for free. Beaches located at the hotel are clean and neat, mostly standard equipped with toilets, towels, sunbeds, umbrellas and waste bins. In addition, most of these places has a wide gastronomic offer and entertainment. 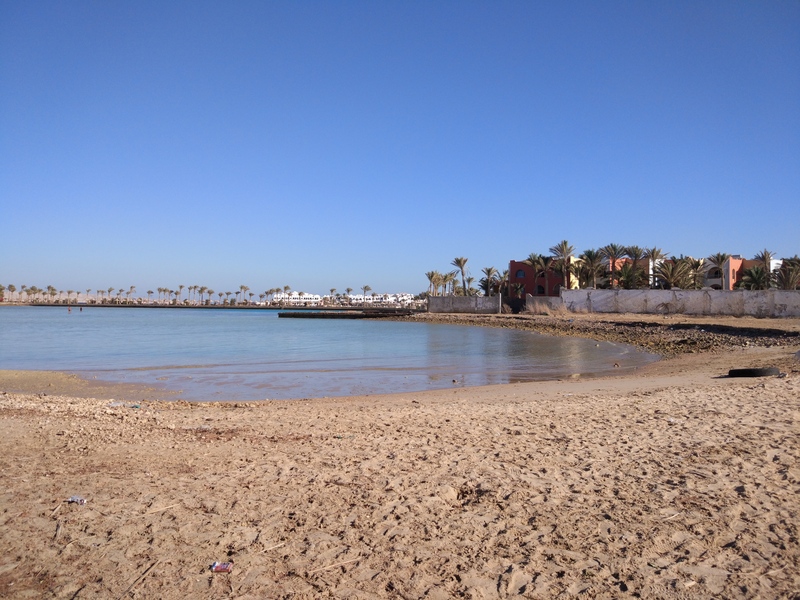 In addition to the hotel beaches in Hurghada are also four public beaches. Entrance on it is now no longer allowed, but it adopted a, that tourists rather not use them. 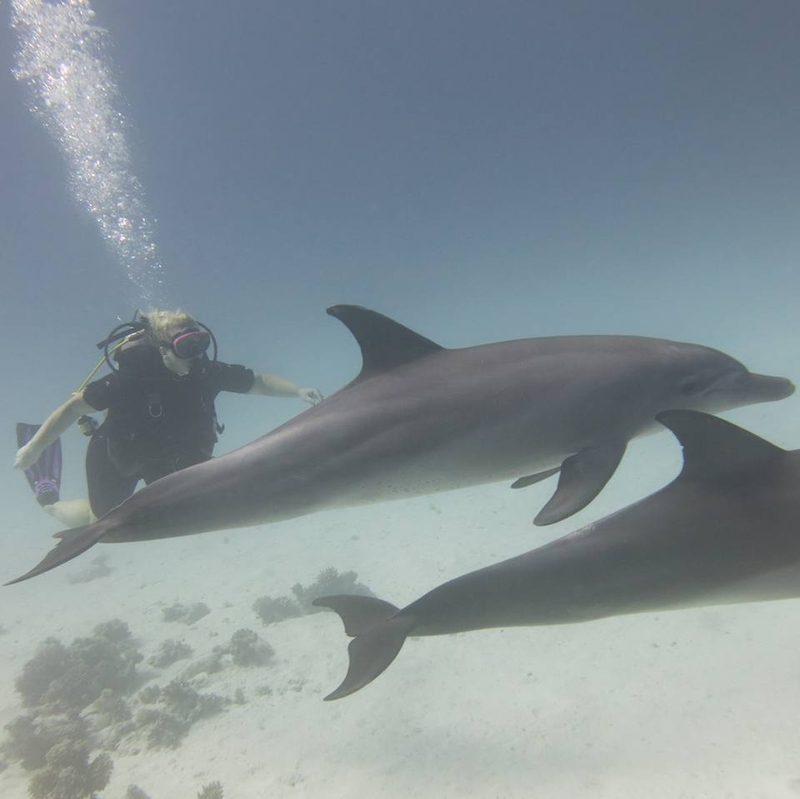 Red Sea, Red Sea j its rich marine life is the, What attracts most tourists choosing to Hurghada. The water temperature in the summer hovering around 25 ° C up to 30 ° C, so you can stay in it for hours without fear of hypothermia. The water is incredibly clean, transparency reaches even 40 meters, so the whole underwater world is perfectly visible. 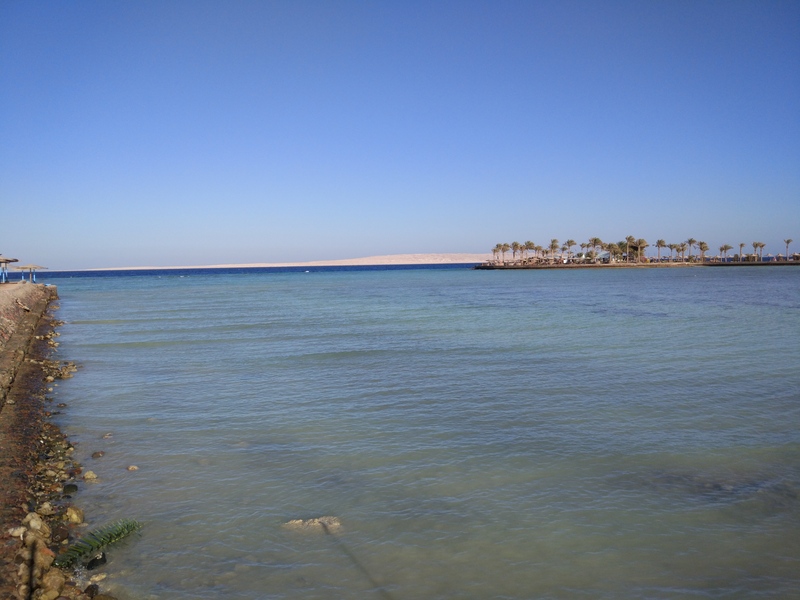 The area is close to Hurghada 50 coral reefs, where you can see all the wealth of fauna and flora. Beautiful colorful corals, shoals sparkling with all the hues of the rainbow fish is lurking in the shadows of predators is only part of the, whatever you can watch. 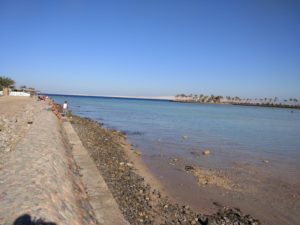 Egyptian reefs are available for viewing, However, the presence of them implies the observance of several rules, among other things, the prohibition of touching and taking anything. Diving Such richness of the underwater world even encouraged, to see everything up close. Very popular is snokeling, which floats on the surface of the mask, snorkel and fins. Equipment that can be rented for very little money in many places, even organized trips to the prettiest reefs. 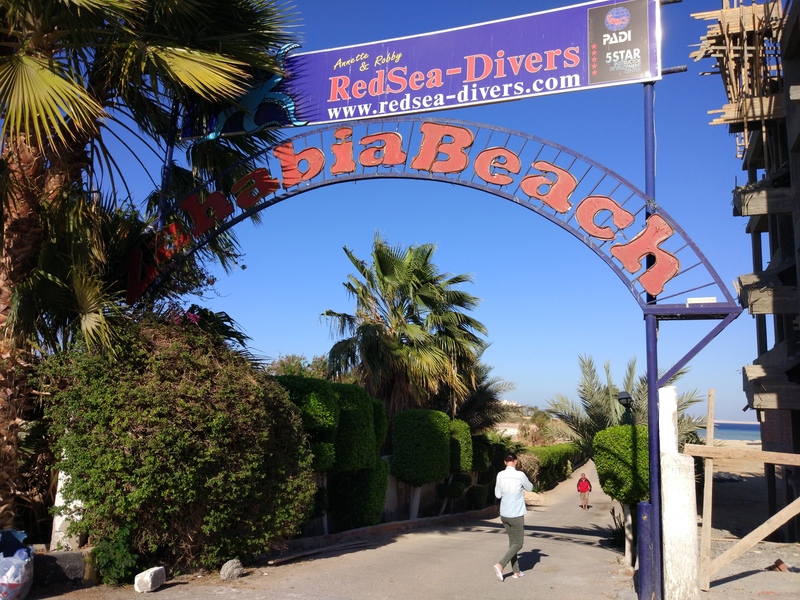 In Hurghada is close 200 database diving, So fans of this activity have a huge selection. Diving gives a much more opportunities to watch the underwater world, but it is also more demanding in terms of both equipment and skills. Tourists privileges can rent the whole kit and take part in organized dives, it is also possible to do a basic course with rights to self stay under water. Very popular diving instructor, you do not need them to have the power, because the whole time staying under the care of an experienced diver. 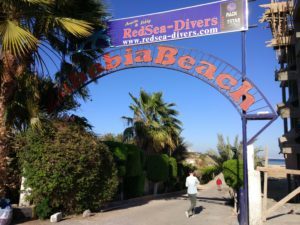 Hurghada and its surroundings are at least a few dozen dive sites with different degrees of difficulty, first of all, there are numerous coral reefs and sunken ships. For most of them can only be reached by boat, due to the number of volunteers is often required prior reservation. 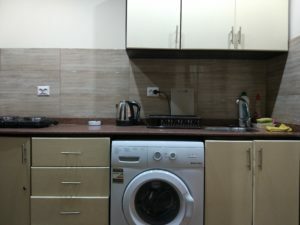 When you decide to dive in Egypt, it is necessary to pay attention to the quality of the base, with which it will do and choose only those tested. Some Egyptian base does not adhere to international standards but tempt lower prices, on what takes a lot of tourists. 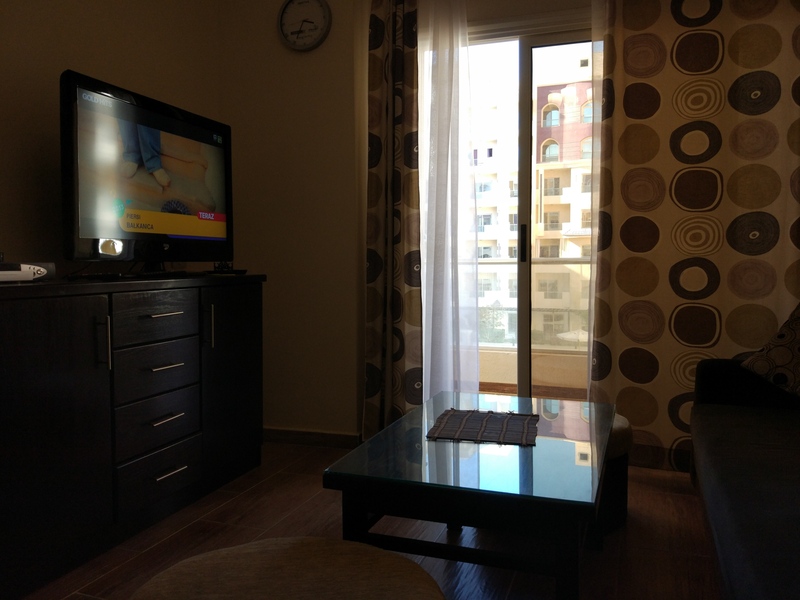 Weather conditions, air conditioning in Hurghada – It lies in the northern part of Africa, in the tropical dry. However, due to the proximity of the Red Sea, the climate in the city is much milder than in other parts of Egypt. 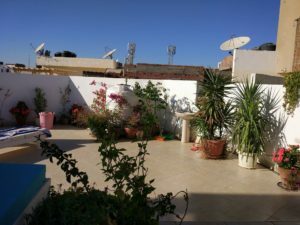 The weather is perfect for the tourists, almost cloudless sky all year round, the lack of rainfall and high temperatures make, that every season is good to arrive. 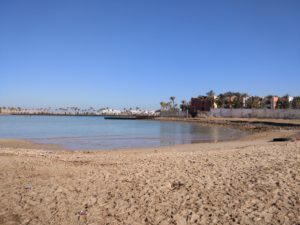 From June to November the temperatures are at a high level, reaching up to 40 ° C, Warm are also night and the sea water. The temperature is from 25 ° C to 30 ° C, which gives the perfect conditions for swimming. In the remaining months is a little cooler, However, both the water temperature and the air during the day is maintained at about 20 ° C. Cool nights are, however,, between December and March after an hour 17 the temperature rapidly drops to a level even 10 ° C, and often they occur even frost. 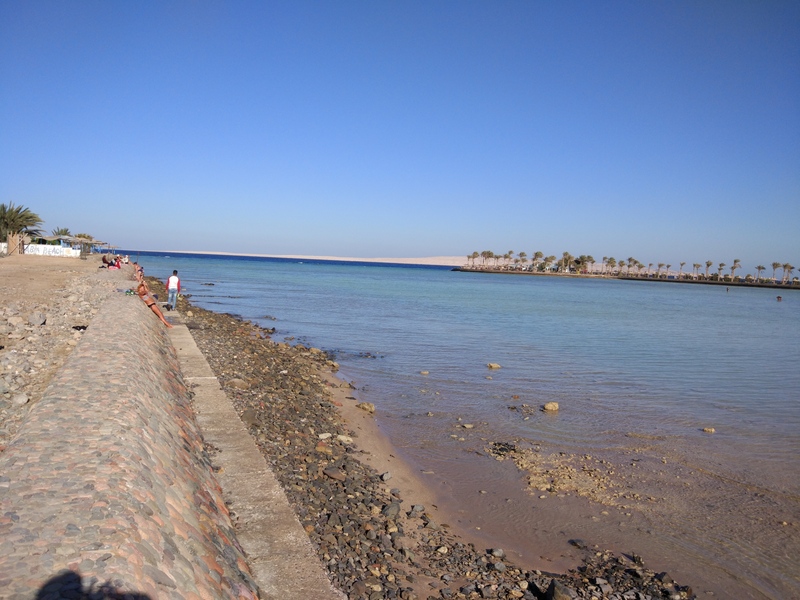 Another factor, to bear in mind when going in this period to Hurghada is cold, the wind blowing in from the sea. It causes significant reduction in chill temperatures, So it is advisable to bring along warmer clothes, and after leaving the water covering of the towel. On the beaches very well suited screens to protect against stronger gusts. 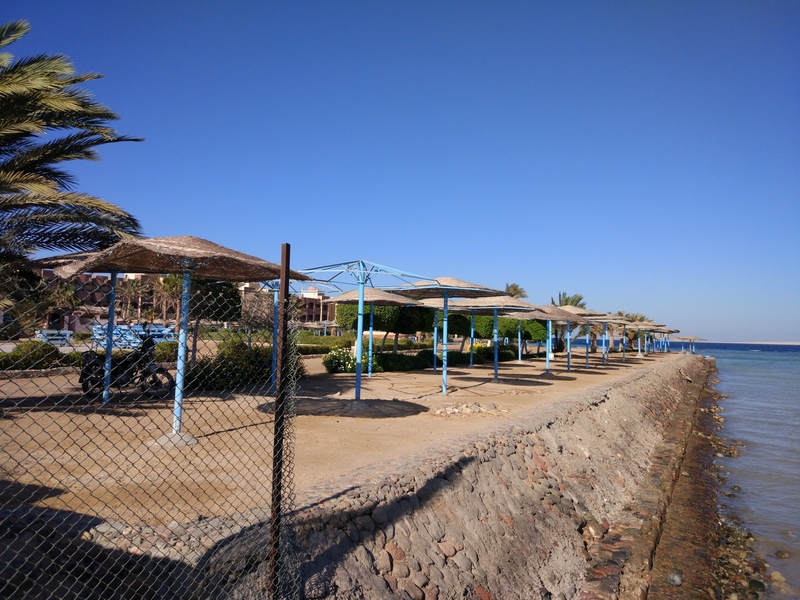 In Hurghada virtually never rains, Cloudy and is only a few days a year. The temperature should range between 18 ° C and 24 ° C. At night the temperature substantially falling, to near about 11-13 ° C, this is not good for people sensitive to such big changes - it is very easy to podziębić, thus opting for a trip to Egypt in January should bring something warm to wear in the evening a blouse or sweater. Days are still a lot of light, so that the tan is guaranteed. Daily temperatures rise slightly, compared to January may reach up to 28 ° -30 ° C. At night, they are still significant temperature drops, warm clothes still desirable. March in Egypt ideally suited by. Polish saying "in March as a gallon". This month is the change in temperature between the hot and cold months, in recent years we find more and more frequent violent rain and hail. Day temperature exceeds above 28 ° C, the sea is getting warmer. At night, there have been sharp declines as temperatures in January and February. 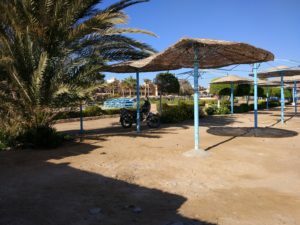 First, almost hot months in Hurghada. Nights are already warmer during the day and higher than the air temperature over 28 ° C. April is the most chosen month of the year by tourists, seeking recreation this winter. 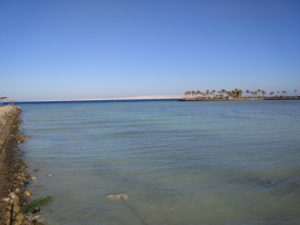 The air temperature about 30 ° C, the water is really warm 23 ° C - is ideal weather for trips to Egypt. The weather is perfect, because it is not so hot. 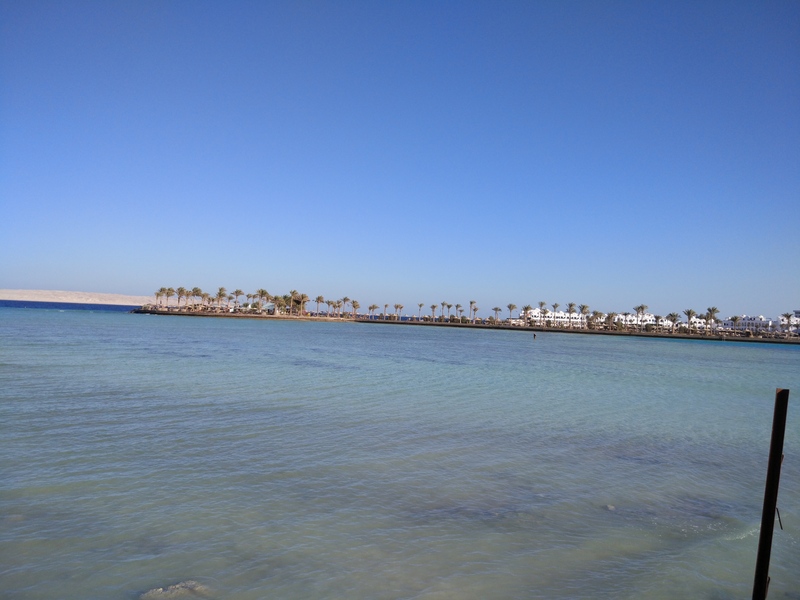 Perfect month for a trip to Hurghada - temperature over 30 ° C, warm nights. From the sky pours not yet known to all Egyptian heat. Temperature exceeds more than once 40 ° C and the water temperature is 25 ° C. Must remember burying themselves under the umbrella or other shading in front of an infinity heat from the sky. Ideal for people who love the heat. This is another after July hottest month in Hurghada . 40° C heat to normality. The water in the sea is very warm. Sunbathing without sunscreen, it's downright stupidity. This is a good month to spend a few weeks the country of the Pharaohs . Day temperature is maintained at 30 ° C, the night is still warm. In other words, ideal conditions for exploring the Egyptian attractions and lazing on the beach. Day temperature maintained at a pleasant level of 30 ° C. Water temperatures remain in the summer months, still warm evenings are still. this month, in which our countrymen are going on trips to Hurghada. The air temperature is maintained still in the range of 25-29 ° C, yet the sea is quite warm. About an hour 17 it's getting dark. Many tourists choose Hurghada as a place, where they spend Christmas. The average day temperature reaches 23 ° C, compared to the Polish is an approximately 30 ° more. In the evenings it gets chilly, So it is worth remembering in warm clothes. 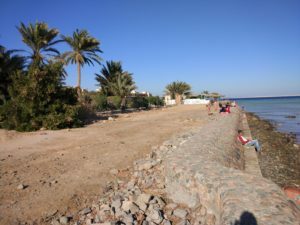 Hurghada yet at the end of the nineteenth century was a small fishing village, inhabited by a small group of residents. beautiful nature, in this fantastic, coral reefs full of life caused, that there began to appear the first hotels. Intensive development of the city began in the eighties of the last century, when peace was signed between Egypt and Israel. 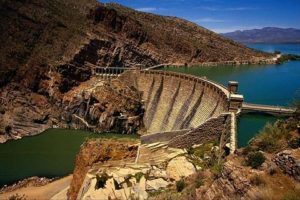 This place is noted investors, and within a short period of time it has grown into one of the largest and most popular tourist resorts in Africa. 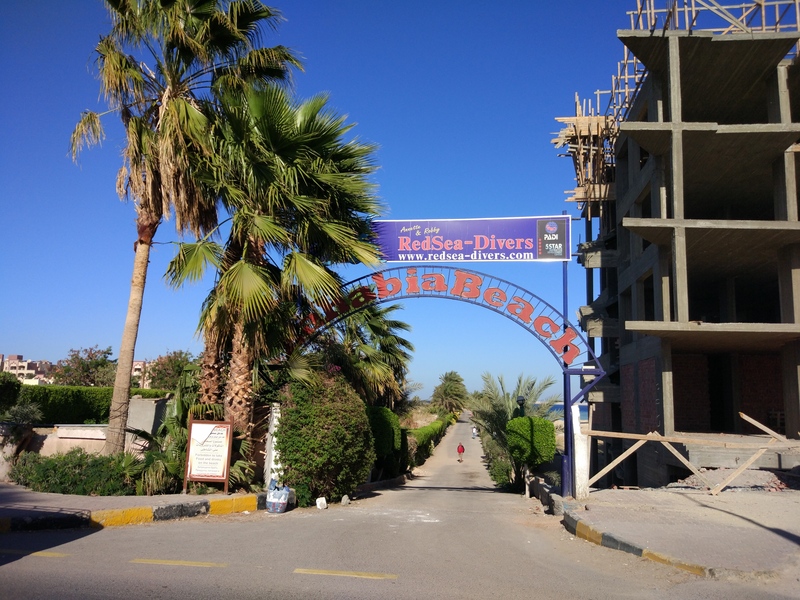 Currently, Hurghada is a cluster of modern hotel resorts, Unfortunately, the dynamic development of tourism is the place lost some of its old charm and climate. 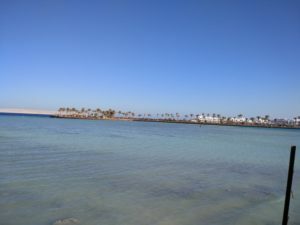 Hurghada lies on the western shore of the Red Sea, approximately. 500 kilometers from Cairo. Long stretches on 40 kilometer strip along the desert coast, where the vast majority is dominated by complex Holiday. 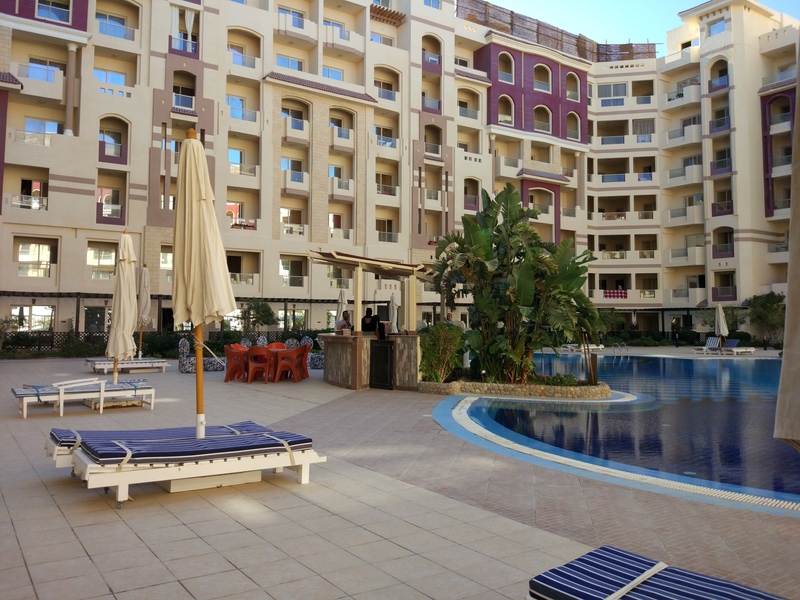 Hurghada is located in the zone of dry tropical climate, so there the whole time the sun shines, a temperature range from 23 ° C in February, to above 35 ° C in the summer months. In winter the sea is blowing strong, unpleasant wind, which can be quite disruptive. 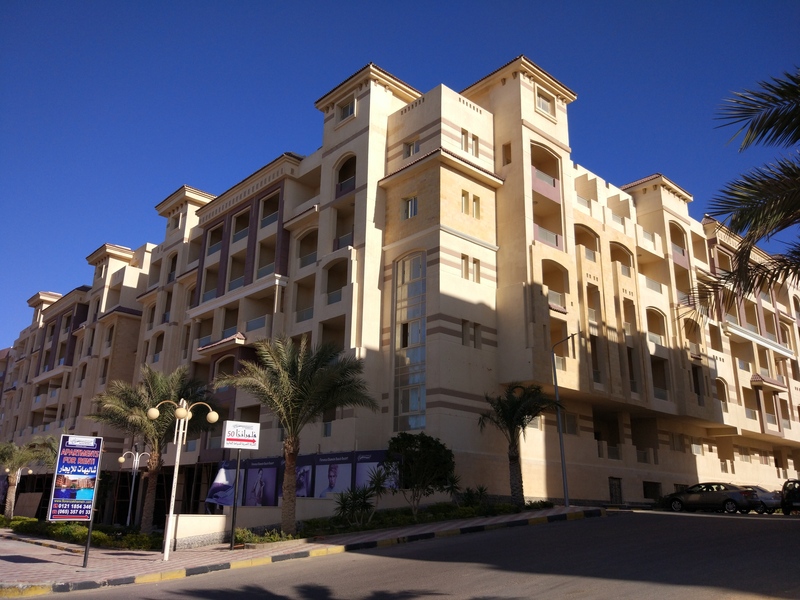 Hurghada now has less than two hundred thousand inhabitants, It consists of five main districts. The oldest, famous for primarily the largest bazaar in the city and many shops are Dahar, There is also a post office and bus station. The newer of Daharu Sakkala is now considered to be the center of the city, you can see there is a beautiful Old Town and visit the numerous cafes and shops. At the new center begins to grow slowly Village Road, This lies in the southern part of the city district in recent years has developed rapidly. The next two quarters, that is, Sahl Hasheesh and Marina are relatively young, the first of them is private, Exclusive town, and in the second yacht harbor, clubs, restaurants and discos. Hurghada no would gain so much popularity if not for the possibility of convenient flights. The airport serves most of the country, these are often charter flights, but you can also fly to Hurghada by cruise lines. Sam airport is located a few kilometers away from buildings. If someone does not have afforded passage to hotel, it can reach the city by taxi, because there is no public transport. 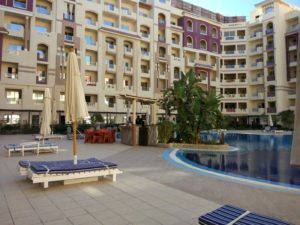 Tourists come to Hurghada usually on organized tours, so they have a guaranteed trip and a place in one of the hundreds of hotels. More and more interest, however, are beginning to enjoy yourself organized trips. In Hurghada is a large number of modern and relatively cheap apartments for rent, and a large number of flights makes, that there are no problems in reaching the place. Red Sea is associated with warm water and beautiful coral reefs, and it is the biggest attraction of Hurghada. In my free time is worth a visit to the old district Dahar, which is the city's largest market square, where you can buy a lot of interesting memorabilia. Worth seeing is also the Down Town, stroll the charming streets will surely be a pleasant break from sunbathing, and numerous shops invite you to shop. Lovers of thrill can enjoy quad, jeep or even camel trip in the desert. 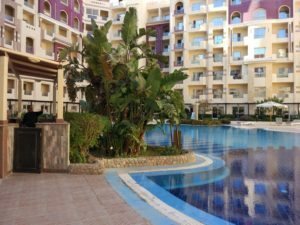 Hurghada is also a perfect starting point to other tourist destinations, They are organized with the numerous trips to Luxor, Cairo and Giza.